Precious has a very simple goal in life. “I want to have a happy home,” she said. It’s not that she didn’t have a happy home. She just wants to make sure her daughter feels loved as she did growing up, but has a little more stability. From the time Precious was young, she moved from house to house and back and forth between her grandma’s place and her mom’s place. There was no doubt, however, that she was loved. She never knew her real dad. He lived in the neighborhood, but never reached out to her. Although her mom was always there for her, Precious didn’t live with her much until eighth grade. Her mom worked in a warehouse and when Precious was six; her mom decided she wanted to live on her own. At the time, she decided to stay with her grandma. “I was just a “granny baby,” she said with a smile. Precious had this lilting voice that just emanated joy. Although she was quiet by nature, she knew everybody and had lots of friends. Her fondest childhood memories were frolicking in the rain, playing basketball, swimming and dancing. “We used to think we could sing too, but we couldn’t. Our group was the Flavor Girls,” she told me as she laughed out loud. Precious loved math and science, until she failed her science TAKs test in fifth grade. Her elementary and middle school years could be characterized as fairly normal and she did just fine academically. Precious loved high school, but again she had to move to yet another high school in eleventh grade. This one was very different. No rules were enforced which created a volatile environment. One day Precious found herself in a big fight over some “he said she said”. When she went to detention they locked her in a room with nothing to eat or drink. When her mom found out she withdrew her immediately and brought her to Fort Worth Can Academy. “At first I thought it was going to be really strict, but this school just has real world rules. It prepared me for my job at JC Penney. I was used to uniforms, being on time was just normal, and the rules of the job were there for a reason,” she explained. Other employees didn’t understand this. After several months at Fort Worth Can Academy, Precious found out she was pregnant. She didn’t finish her classes before the baby was born, but the teachers helped her get through quickly without sacrificing the quality of her education. They were also sympathetic to the demands of being a mom and a student. “The teachers help you at Fort Worth Can Academy, but only if you are willing to help yourself,” she remarked. 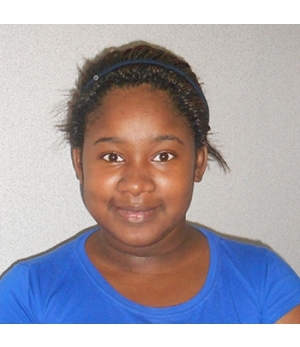 Precious plans to get a part-time job and go to college with the goal of going into law or healthcare. She wants to have a stable income and help provide for her family. She and the baby’s dad are going to get married soon and Precious is going to do everything she can to give her daughter that stable, happy home.